Practical people focus on the next moment and leave the centuries to dreamers. Old institutions have shattered, but new ones have not yet emerged. 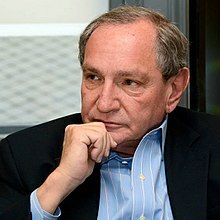 George Friedman (born 1 February 1949) is a Hungarian-born American writer, geopolitical forecaster, and strategist on international affairs. He is the founder and chairman of Geopolitical Futures, a new online publication that analyzes and forecasts the course of global events. Prior to founding Geopolitical Futures, Friedman was chairman of Stratfor, the private intelligence publishing and consulting firm he founded in 1996. Friedman resigned from Stratfor in May 2015. The twenty-first century will be the American century... The twenty-first century has begun with an American success. The twenty-first century will be a period in which a range of new institutions, moral systems, and practices will begin their first tentative emergence. The first half of the twenty-first century will be marked by intense social conflict. In the United States, minority populations were never an indigestible mass... [A]ll came, clustered and dispersed, and added new cultural layers to the general society. This has always been the strength of the United States. In much of Europe, for example, Muslims have retained religious and national identities distinct from the general population, and the general population has given them little encouragement to blend. The strength of their own culture has therefore been overwhelming. Europe is crowded and fragmented. I need caffeine. I need sugar. I need beef. Understand that you're now in a superheated atmosphere; there are all kinds of rumors floating around. And one of the players is deliberately feeding us lies. I think Iraq will have a formally independent government that will be in perpetual gridlock and chaos, and essentially, there will be a U.S. military administration utilizing NGOs that can do a lot of the heavy lifting in the country. Your 15 minutes are here, Friedman... I'm just saying, all your life you know useless and obscure things. And suddenly... It is a fairly strange experience. The United States Navy controls all of the oceans of the world. The twenty-first century will be the American century. [T]he twenty-first century truly began on September 11, 2001, ten years later, when planes slammed into the World Trade Center and the Pentagon. Al Qaeda has failed in its goals. The United States has succeeded, not so much in winning the war as in preventing the Islamists from winning, and, from a geopolitical perspective, that is good enough. The twenty-first century has begun with an American success that on the surface looks like not only a deafeat but a deep political and moral embarrassment. [A]ny seagoing vessel—commercial or military, from the Persian Gulf to the South China Sea to the Caribbean—could be monitored by the United States Navy, who could choose to watch it, stop it, or sink it. [D]isequilibrium will dominate the twenty-first century, as will efforts to contain the United States. It will be a dangerous century, particularly for the rest of the world. [W]hat al Qaeda is fighting for is a traditional understanding of the family. This is not a minor part of their program: it is at its heart. The traditional family is built around some clearly defined principles. First, the home is the domain of the woman and life outside the house is the purview of the man. Second, sexuality is something confined to the family and the home, and extramarital, extrafamilial sexuality is unacceptable. Women who move outside the home invite extramarital sexuality just by being there. Third, women have as their primary tasks reproduction and nurturing of the next generation. Therefore, intense controls on women are necessary to maintain the integrity of the family and of society. In an interesting way it is all about women, and bin Laden's letter [to the U.S.] drives this home. What he hates about America is that it promotes a completely different view of women and the family. Old institutions have shattered, but new ones have not yet emerged. The twenty-first century will be a period in which a range of new institutions, moral systems, and practices will begin their first tentative emergence. The first half of the twenty-first century will be marked by intense social conflict globally. All of this frames the international struggles of the twenty-first century. In the United States, minority populations were never an indigestible mass—with the major exceptions of the one ethnic group that did not come here voluntarily (African Americans) and those who were here when Europeans arrived (American Indians). The rest all came, clustered and dispersed, and added new cultural layers to the general society. This has always been the strength of the United States. 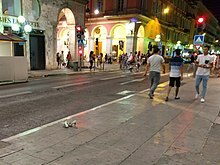 In much of Europe, for example, Muslims have retained religious and national identities distinct from the general population, and the general population has given them little encouragement to blend. The strength of their own culture has therefore been overwhelming. When I was growing up in the 1950s, the twenty-first century was an idea associated with science fiction, not a reality in which I would live. Practical people focus on the next moment and leave the centuries to dreamers. But the truth is that the twenty-first century has turned out to be a very practical concern to me. I will spent a good deal of my life in it. Contemporary Europe is a search for an exit from hell. Europe has always been a bloody place.